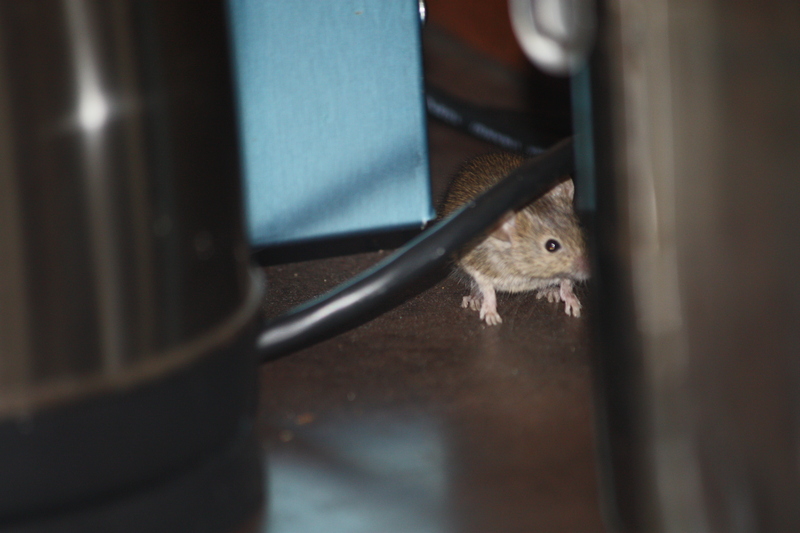 This furtive looking fellow greeted me at the coffee pot one morning recently. He seemed unafraid and approached a jar of honey left on the counter, licking on the side of the jar for a droplet of sweet nectar. Some nerve! We have had a steady stream of mice lately as they seek a warm place to spend the winter. As cold as it has been, I guess I cannot blame them, but I’m not too crazy about sharing my kitchen with them. A trusty old mouse trap has been engaged to take care of the problem – wonder if this guy will fall for a little peanut butter snack? The owls have been singing in the tree tops early in the morning, which is unusual. They usually return in January, but this year we noticed a pair in late October. We can only surmise that the abundance of rabbits, voles and mice this year has tempted them to return to this smorgasbord earlier than usual. We enjoy their serenade outside our bedroom window each morning at dawn and hope they spend the winter with us. Looks like there will be plenty of mice to keep them happy. This entry was posted in Wildlife blog and tagged a mouse, mouse by bygeorge. Bookmark the permalink.